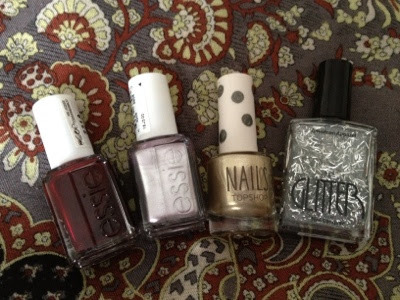 I wanted to share with you the top 5 nail polishes I've picked out for the Christmas season from my collection. It's been tough narrowing it down, but there are the ones i'll be choosing from for my Christmas Day nails. American Apparel Constellation - This is a confetti style silver glitter that would look great over the top of Skirting the Issue. 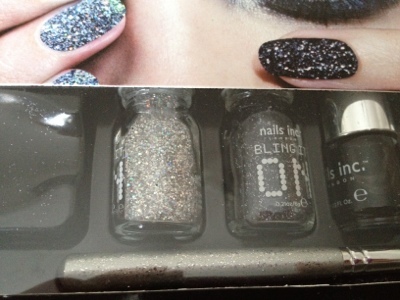 Nails inc Bling It On Rocks - these are loose powder glitters in silver and black and give a really unusual nail finish. 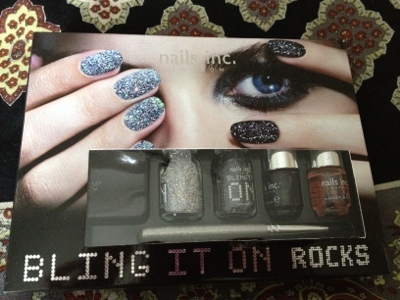 At the moment, I think I will be going for the Nails inc glitters - I like the idea of mixing the black and silver glitters together for a really sparkly Christmas nail. What will you be wearing on your nails for Christmas? 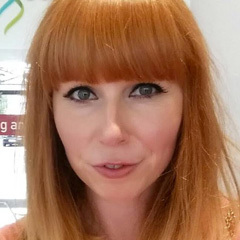 I so wish my local topshop stocked the make up! There are so many nice bits I want to try :) Heart of Gold looks gorgeous. Great picks!